It is impossible to overstate the importance of the calibre 9452 MC in the history of Cartier’s high watchmaking department. Those unfamiliar with the evolution and progress of Cartier Fine Watchmaking will see the calibre 9452 — a manual-winding flying tourbillon — as just another reference in Cartier’s vast panoply of complicated movements. It’s not as exalted as this year’s grand complication calibre 9406, it’s not as eye-catching as the calibre 9451 Astrotourbillon or as groundbreaking as the automatic calibre 9800 Astrorégulateur. 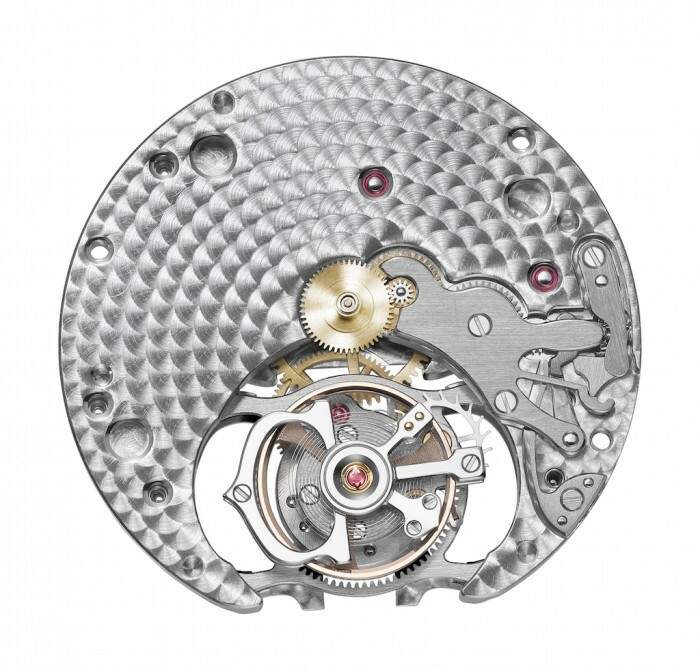 But the calibre 9452 was Cartier’s first in-house Geneva Seal movement, the beginnings of their Fine Watchmaking department; it represents Cartier’s first steps towards becoming a horological powerhouse, back in 2008. 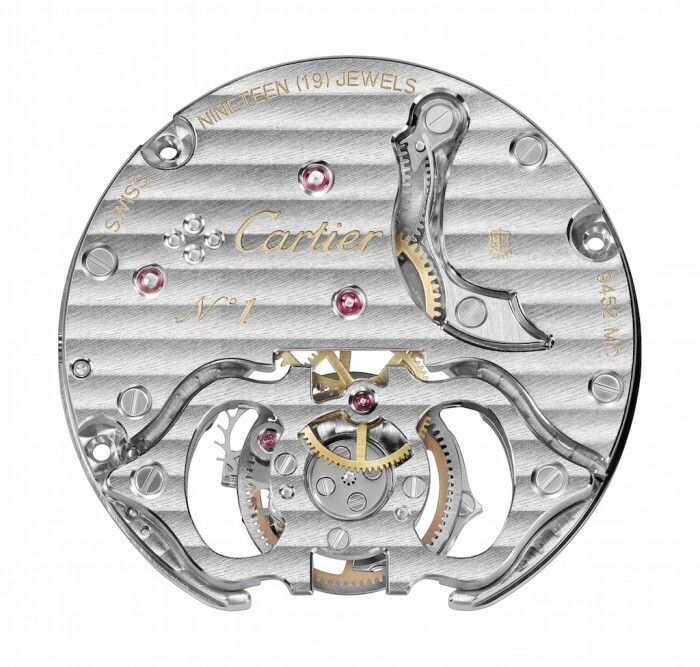 The inclusion of the calibre 9452 in any Cartier collection, therefore, has always seemed to me rather symbolic. There are any number of beautiful, iconic Cartier designs, but it is only when they first house the calibre 9452 that they are truly inducted into the halls of Cartier Fine Watchmaking. 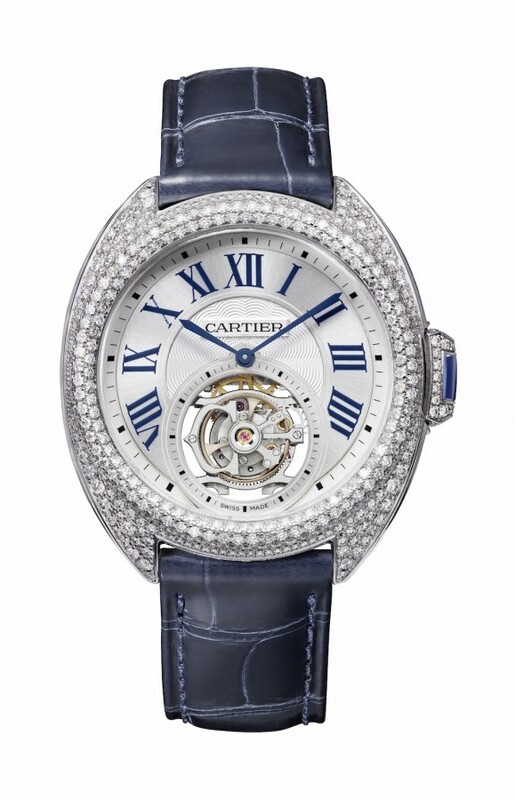 The first watch to carry this movement was the Ballon Bleu, back in 2008. Collections such as the Santos, the Calibre, the Rotonde, the Tank Américaine and the Pasha each had their turn subsequently, and now in 2015, it comes to the new Clé collection. The Clé de Cartier Flying Tourbillon comes embedded with all the aesthetic cues of Cartier Fine Watchmaking, such as the concentric rose guillochage on the dial, blued sword-shaped hands, strong and geometric Roman numeral hour markers and the secret Cartier, hidden in the X hour marker. When the Clé debuted at the January watch fair, the emphasis was on its smooth curves and absence of sharp edges, a feature which is sublimated somewhat in the full-set Clé de Cartier Flying Tourbillon. It’s a little harder to gauge case topography when the watch in question is blanketed in 3.56 carats worth of brilliant-cut diamonds, but really I don’t foresee anyone having any complaints about this. Certainly not me. 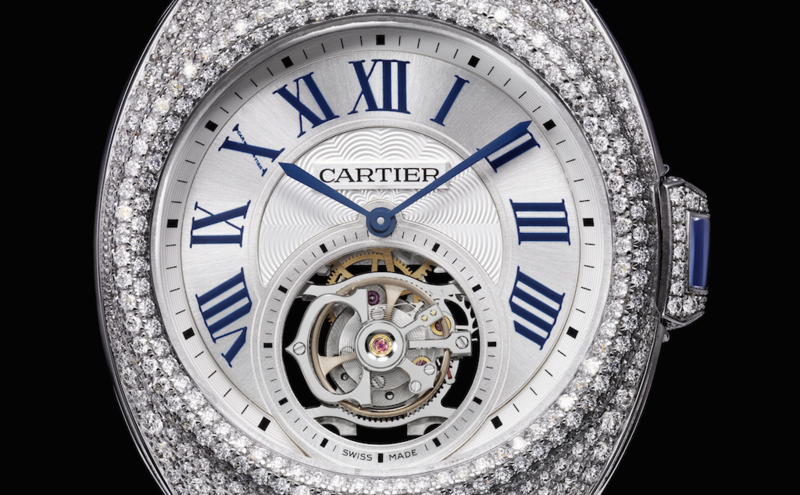 The Clé de Cartier Flying Tourbillon comes in a 35mm case; this fact, alongside the diamonds and all, would seem to indicate that the watch is targeting the feminine wrist. And of course, any woman who appreciates a fully set wristwatch with the additional chronometric assurance of a Geneva Seal flying tourbillon with small seconds indication (via the tourbillon bridge) will feel the undeniable attraction of this piece. I just want to say three things to counter the above assumptions, however. Firstly, that it wasn’t too long ago that we saw 35mm wristwatches on men, and if we feel entirely comfortable today seeing a man wearing a classic suit cut in a 1940s style, why not a watch in 1940s dimensions? Secondly, that diamonds do not make a timepiece frivolous or “for women only” — Cartier’s own history with elaborate and sumptuous jewellery pieces for male authority figures (kings, maharajahs, cardinals) proves this. Thirdly, that I recently saw the Clé on the wrist of Cartier’s international marketing director for watchmaking, Thomas Crye, and damn if it didn’t make an impression as one of the sleekest, most elegant gentlemen’s watches I’ve seen all year. You can make your own decisions about it, of course. I’m just sayin’.